This is the commercial humidifier model no. B250 for increasing the humidity. There is a water tank. The humidifier converts water into moisture particles thus increasing humidity. We supply various models for increasing humidity in warehouses storing food, fruits, vegetables, potatoe, banana, onions etc. 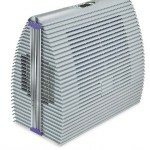 Read our main article on humidifiers. Vacker Group supplies various humidifiers in United Arab Emirates, Qatar, Kuwait, Kingdom of Saudi Arabia, Bahrain, Jordan, Iraq and Oman. 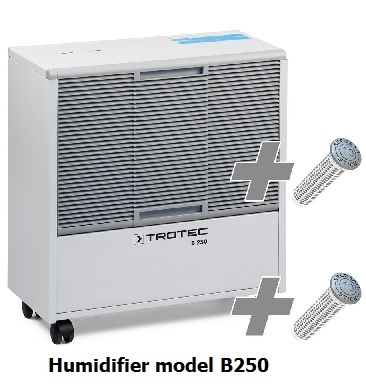 We need a humidifier of the capacity around 30 kg per hour, can you suggest options, please? Our sales team will contact you.